PC problems are frustrating, especially when you aren't an experienced user and deep down you know it would probably be a quick and easy fix if you just had the knowledge. Unfortunately, even a simple PC fix can feel out of reach. Before you bother your family member again, or worse, spend your hard-earned money on an expert computer diagnostic, take a look at our guide to the most common Windows computer problems that anyone can fix. And we mean anyone. To start with, we need to know which version of Windows is on your PC. Each version has its unique strengths and problems, so we’ve broken our tips into three sections – Windows 10, Windows 8, and Windows 7. No, we didn’t miss one, there is no Windows 9. Yeah, we don't know why either. If you don’t know what Windows you’re using, take a look at the images below and click the one that looks most like what is on your screen. Let the computer troubleshooting begin! If Microsoft is to be believed, this is the final version of Windows. That doesn’t mean they won’t be updating it, though, it just means that your operating system changes will evolve more naturally. We’re all for it as switching to a new Windows was always such a hassle. While it’s considered the best Windows experience so far, even Windows 10 isn’t perfect. 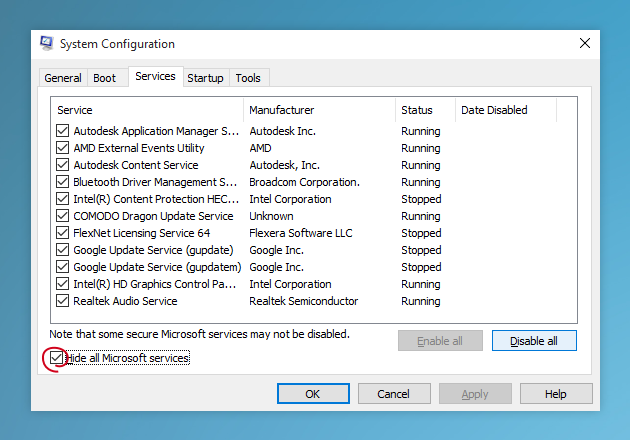 Here are five common Windows 10 problems with easy fixes that anyone can solve. 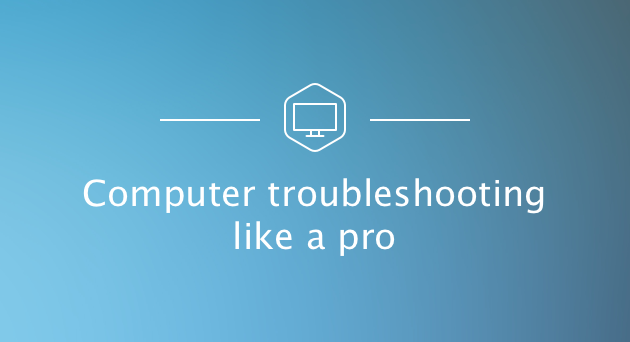 Inexperienced PC users will often worry about doing something that "breaks" Windows. 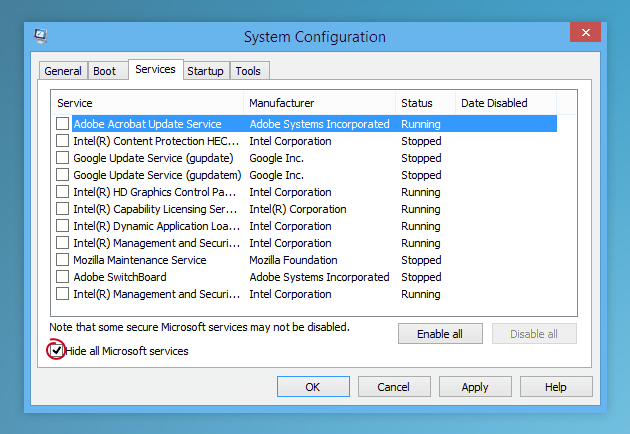 That’s why the System Restore feature is the safety net that everyone should be using. When something "breaks", System Restore allows you to roll back the clock to a time when everything was working well. To do this, you need to make sure that Windows is taking these snapshots (restore points) on a regular basis. 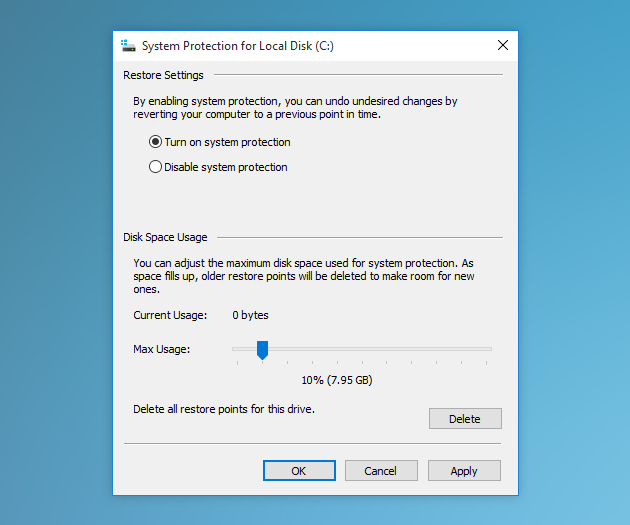 Check "turn on system protection"
Enjoy the peace of mind of knowing that if you make a mistake, system restore has a time machine to take you back to before it happened. Windows 10 is probably the quickest Windows so far, but it is still vulnerable to common issues that slow down PCs like a hard drive full of junk files and background applications that waste memory. To keep your PC clean and optimized so that it runs as fast as possible there are a lot of manual things you can do. Highlight an app you are sure you no longer need and click "Uninstall/Change"
Instead of all these different manual methods, you could download a specialist cleaning app called CleanMyPC. This app is a one-stop solution for many issues that slow your computer, including what we mentioned above but all whole lot more than that. Once installed a simple click on each of the tools will automatically start the cleaning process. It’s quick and easy, and when you’re done, you’re going to have a PC that probably performs even better than the systems of the people you would normally be asking for help from. How annoying is it to double click on a file and have it open with an app you don’t recognize? Windows 10 wants you to use its apps as the default, but the best apps are often not Windows apps. 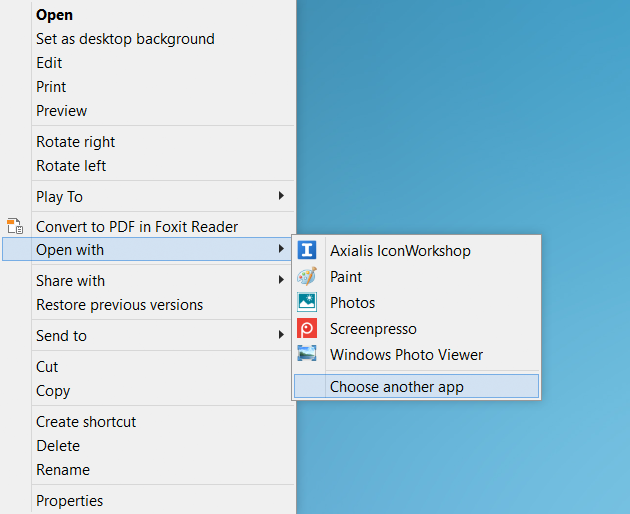 To get Windows to always open particular files with the apps that you want, follow these easy steps. Highlight the app you want it to open with and check "Always use this app"
That’s how easy it is. From now on, every time you double-click this file type (for example it could be .jpg for photos or .mp3 for music) Windows will open the app you chose. 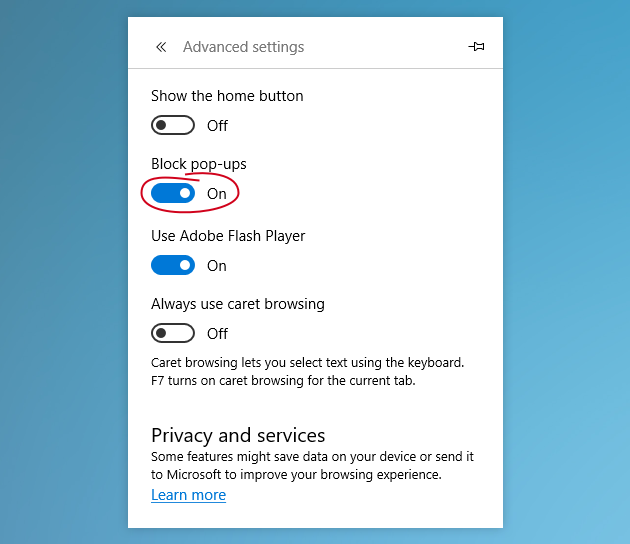 If you’re using Microsoft Edge, the new Windows default web browser, you should be enjoying a fast and user-friendly browsing experience. If Microsoft Edge is not working properly and you miss Internet Explorer, typing that into the Start field will reveal that the old web browser is still there. One of the more common problems with Microsoft Edge is pop-up ads. Not only do they get in the way, if clicked, they can also cause all sorts of problems for Windows. Scroll down and click on "view advanced settings"
Make sure "block pop-ups" is turned to "on"
Windows 10 doesn’t come with a pre-installed application to play DVD movies, which seems crazy to us but there you have it. If you type "store" into the search bar and open the Windows Store app and then search for "DVD player" you will see that Microsoft has made one available, but it costs $15 (unless you upgraded). Luckily there are other free options, like VLC, that will get your PC playing all your favorite DVD movies in no time at all. Windows 10 PC problems fixed? You did it! We couldn’t be more proud of you. Using Windows 10 doesn’t have to be an experience where you’re always in fear of doing something wrong, and feel like you always have to get help from someone else. If nothing else, let this this be the start of a new you. A person that is able to identify common PC errors and find the fixes. Poor Windows 8. It’s like the awkward middle child. Its radical new direction made many users want to stay on Windows 7, even after Windows 8.1 had addressed a lot of the most common issues. And when Windows 10 arrived on the scene, everyone who wanted the latest systems jumped ship. It’s still a great operating system, though, so if you’re still on board, here are some common computer problems and their easy fixes to make your journey as comfortable as possible. Is Windows 8 performing slower and slower every day? Many things could be dragging your system down. You may think you need an expert to solve them, but in a lot of cases you can do a lot of good yourself. Free hard drive space is incredibly important to a smooth running Windows system. If you are storing data on your Windows/system drive then we would recommend moving these files to another internal drive, or an external drive. 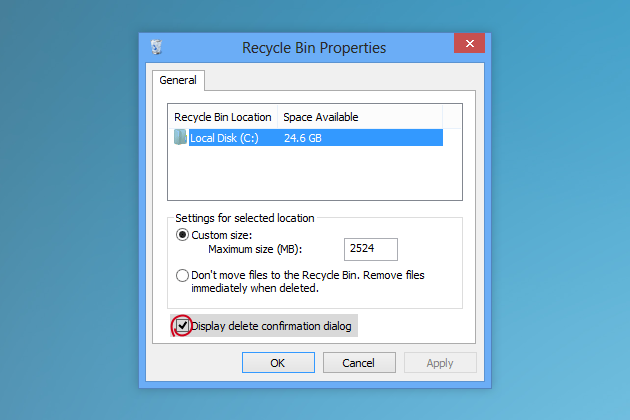 Another solution would be to manually clean out all the temporary junk files that Windows accumulates over time. 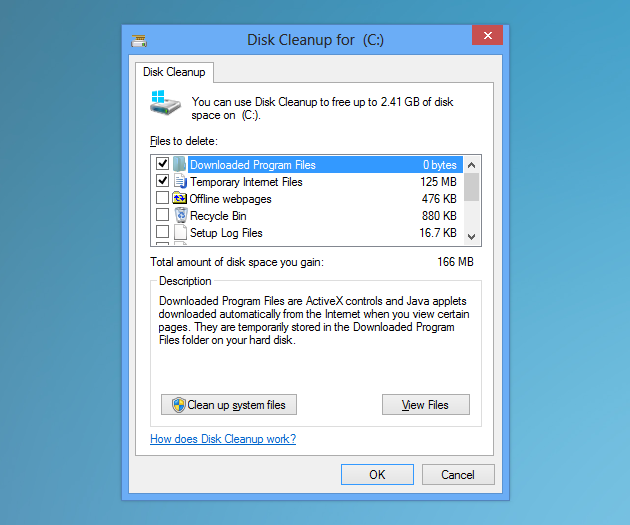 To do this, simply run the Windows 8 app called Disk Cleanup and follow the instructions. The best option of all would probably be CleanMyPC, an app that was made for inexperienced computers users. Not only does it remove junk files, clean registries, make certain applications are properly uninstalled, and so much more, it does everything automatically with just a click needed to start each operation. 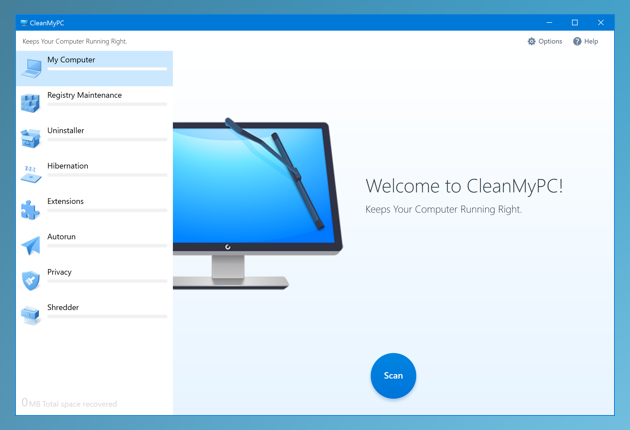 CleanMyPC will now do all the dirty work for you, just click "Clean" button. Is Windows taking longer and longer to start? It could be because you’ve installed too many programs, many of which like to automatically run when Windows starts, even if they aren’t needed. An IT guy who comes out to help you will definitely look at your startup programs to try and limit how many of them load. Now just look through the list and if you see a program that you know you don’t use very often, turn it off and “apply”. If that sounds too confusing, CleanMyPC once again presents an easier solution. Just open the app and click on the “Autorun” section. Now you can immediately toggle on and off startup programs. It’s safe and easy and if you toggle off something you realize you need running, just open the app and turn it back on. 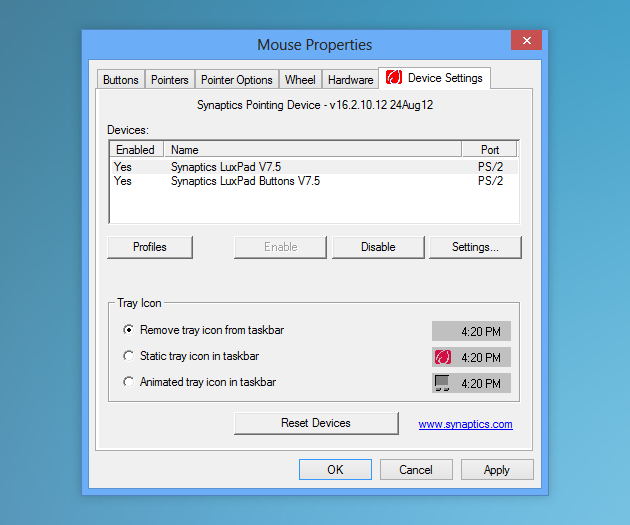 Many Windows 8 laptop users have encountered the problem of their touchpad not working. Not too big of a problem if you have a mouse to plug in but a real annoyance if you travel a lot and like to use your laptop on the go. Luckily, the problem is usually that the trackpad is simply turned off. Windows 8 caters for devices that have high-resolution displays. If you could zoom in, you’d see that these displays effectively have more dots. 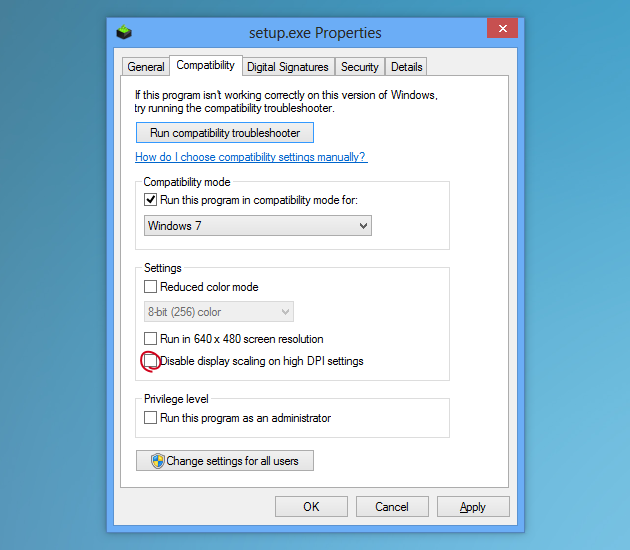 A common Windows 8 problem is when an old application isn’t able to scale itself to this resolution. When this occurs Windows jumps in to save the day by doubling the size of the interface. The problem is that now the text is often blurry. Now restart the app and enjoy sharper text. Now, next time your finger accidentally taps delete, you’ll be saved by the warning. Windows 8 PC problems fixed? You did it! Don’t let anyone tell you Windows 8 is awful. Especially now that you’ve solved a lot of the more common Windows 8 problems. Let this be the beginning of a new way to look at your relationship with your computer. It doesn’t rule you anymore. You are in control. The old kid on the block. Windows 7 is still a popular choice, especially for casual users who aren’t keen to have to re-learn their way around newer versions of Windows. One day these users will have to upgrade but right now Microsoft intends to keep supporting Windows 7 until 2020, so you’ve still got time. To get the most out of your Windows 7 experience, you don’t need a PC diagnostic from an expert; you just need to follow some simple computer troubleshooting tips. To perform operations smoothly, Windows 7 needs a lot of free space. To free up space, you should take a look at your installed programs. Everyone has at least a few programs, uninstalled ages ago, that are never used but take up disk space and system resources. 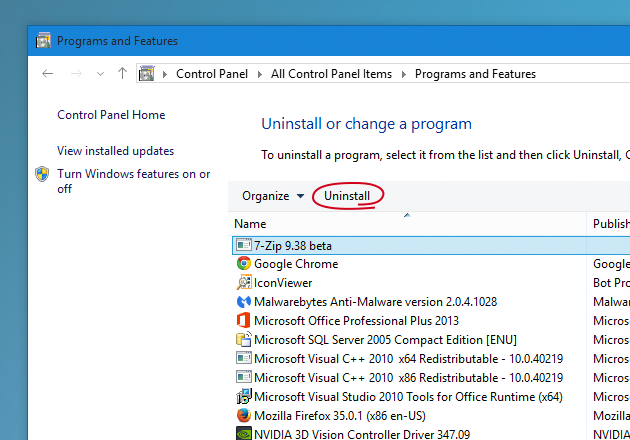 The normal Windows uninstall will leave some parts of the program behind, which is why an even better method is to use the Uninstaller feature in CleanMyPC. It will remove every inch of the program to maximize the space you free up. Windows 7 absolutely loves creating temporary files, which over time build up. The problem with temporary files is that they serve no purpose and Windows never removes them. Thanks a lot, Windows. 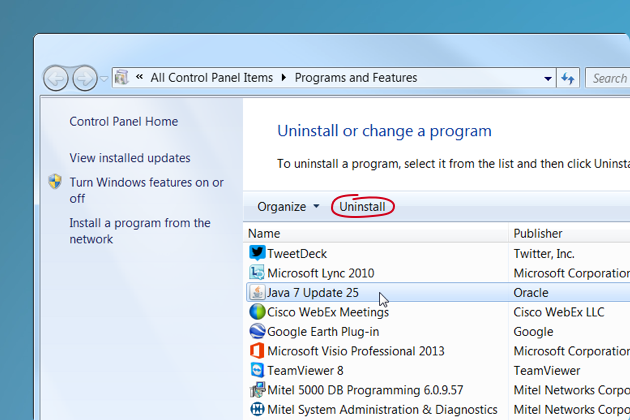 Another option is an app created specifically for the cleaning of Windows systems. 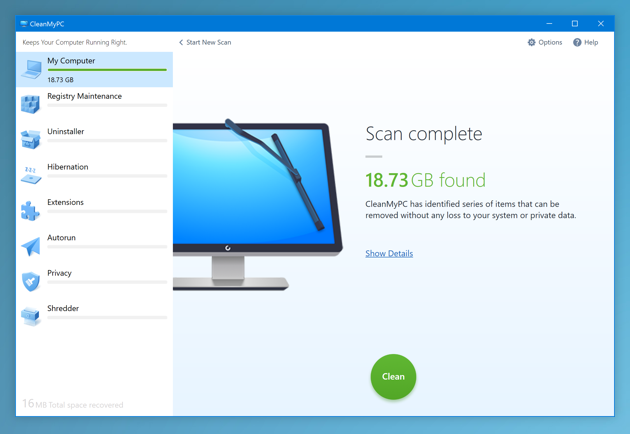 CleanMyPC doesn’t just find and easily remove junk files, it is a complete PC diagnostic solution. It couldn’t be easier to use and allows normal people to clean their PC like a pro. Within minutes you’ll be shown all the space you can free up with a single click of the mouse. Who needs a repair guy when you have programs like CleanMyPC? A familiar Windows 7 problem is the warning dialog, ‘there is a problem with this website’s security certificate,' which you receive while browsing the web. If you get this error often, it’s probably due to your time and date being incorrect. Look in the tray for your clock. Click on it and select “Change time and date settings” to make sure your PC is living in the present. Now you should be able to browse the web in peace. And you didn’t even need a professional PC diagnostic! Another important factor is to just be careful about which links and files to open. Were they sent from someone you don’t know? Were they sent from a friend but are written suspiciously? Do they sound too good to be true? If you’re unsure, rather contact the person to make sure they did actually send it. Or do a Google search using the text you were sent. If it’s part of a scam, there are ways to find out. After a long day of work you just want to sit down with your laptop and enjoy a good movie. But playback is so poor that you end up putting your laptop away in disgust and grabbing a book. If this sounds familiar, then we have a solution that could help improve your video playback. Windows 7 PC problems fixed? You did it! If you were able to solve even just 2 or 3 of the Windows 7 problems above, congratulations, we hope you feel as empowered as you should. With just a little guidance and the right tools, you can improve your Windows experience without always relying on someone else. Makes your PC clean and lean.